We're so happy that you're part of our community! 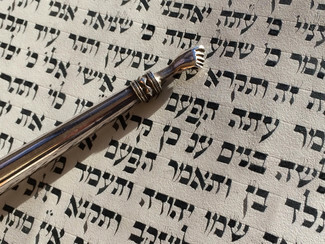 Please use this form to volunteer to lead, chant/read Torah (only 3 lines minimum necessary and you may bring the text with the vowels up to the Bimah with you), present a d’var and host an oneg. We'll still pass around the signup clipboard and send occasional email requests so that all information will be coordinated. To help with this, please contact Ruth Wenger at [email protected] to let her know that you've signed up electronically. Cookie Gluck and Al Goldberg in memory of Cookie's mother, Selma Abraham.